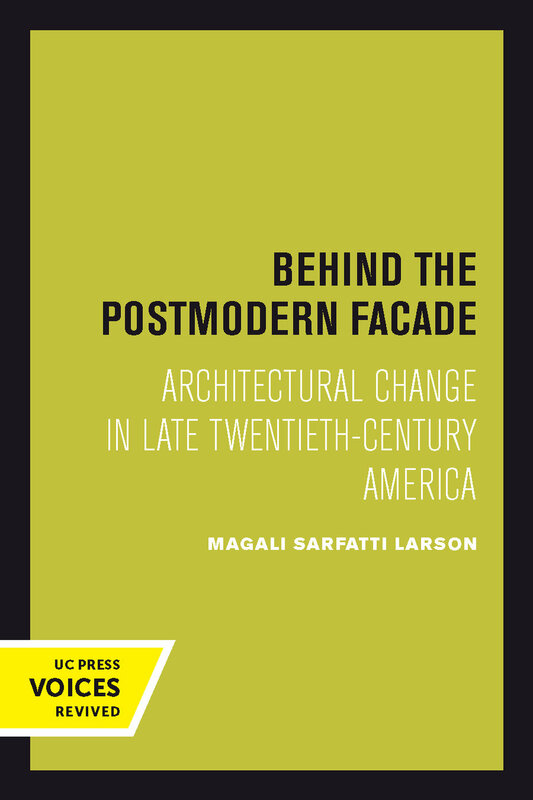 Magali Larson's comprehensive study explores how architecture "happens" and what has become of the profession in the postmodern era. Drawing from extensive interviews with pivotal architects—from Philip Johnson, who was among the first to introduce European modernism to America, to Peter Eisenman, identified with a new "deconstructionist" style—she analyzes the complex tensions that exist between economic interest, professional status, and architectural product. She investigates the symbolic awards and recognition accorded by prestigious journals and panels, exposing the inner workings of a profession in a precarious social position. Larson captures the struggles around status, place, and power as architects seek to redefine their very purpose in contemporary America. The author's novel approach in synthesizing sociological research and theory proposes nothing less than a new cultural history of architecture. This is a ground-breaking contribution to the study of culture and the sociology of knowledge, as well as to architectural and urban history. This title is part of UC Press's Voices Revived program, which commemorates University of California Press’s mission to seek out and cultivate the brightest minds and give them voice, reach, and impact. Drawing on a backlist dating to 1893, Voices Revived makes high-quality, peer-reviewed scholarship accessible once again using print-on-demand technology. This title was originally published in 1993 with a paperback edition in 1995. Magali Sarfatti Larson is Professor Emeritus, Sociology at Temple University and author of several books, including The Rise of Professionalism.